I was contacted by Stamped Sweets just over a month ago to talk about some cookies. 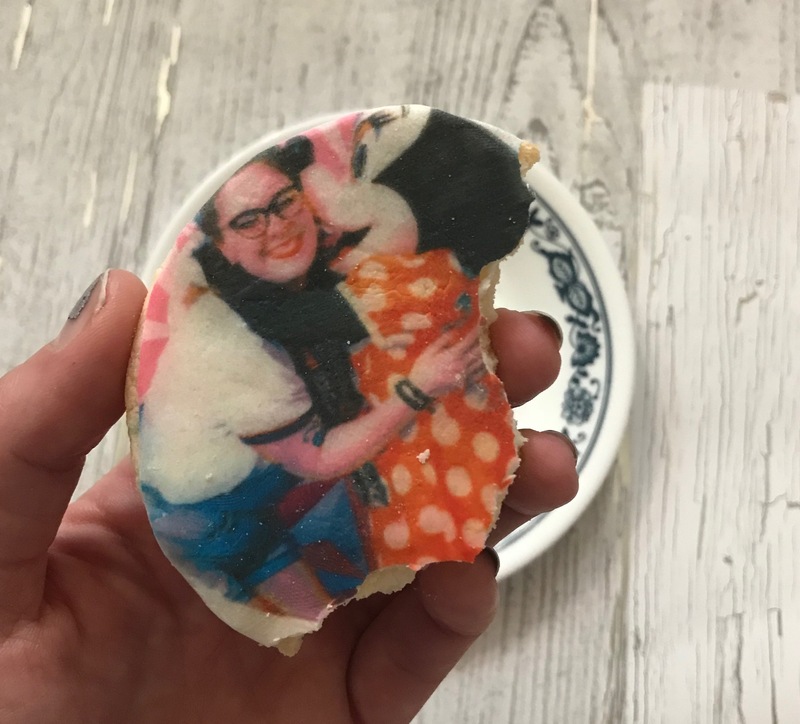 Being a huge fan of putting my face on things, cookies, and gifts, I said yes. Stamped Sweets is a new company that specializes in personalized cookies. 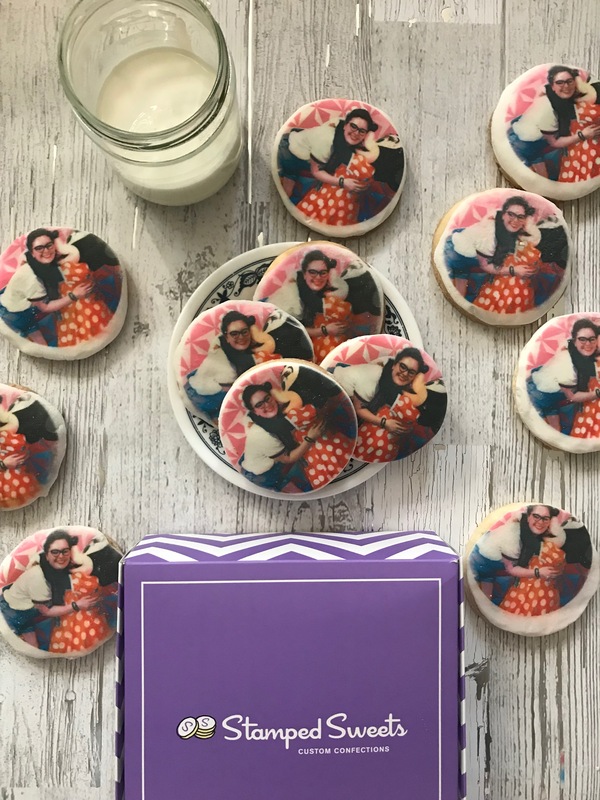 They can put photos or text on frosted shortbread cookies, and that is pretty dang special. I do want to state that while I was gifted these cookies, this review includes my full and honest opinion on them. I was honestly not expecting much. In my mind, I was going to receive some small cookies with royal icing and my face on them. I expected things to taste poorly, and to be all around disappointed. Luckily for me, that very much wasn’t the case! First of all, these are some great sized cookies. I was expecting them to be about half the size, and I’m glad I was wrong! These cookies measure 3 inches in diameter, which doesn’t sound like much, but it’s enough for me! Also, they were actually delicious. Usually, when smaller companies are specializing in something cute and new, they have to sacrifice taste and/or quality. These cookies tasted incredible; I honestly thought they tasted far sweeter than most short breads I’ve had, and again, it was a pleasant surprise! The closest thing I had to an issue was with the printing. I knew not everything was going to be perfect with these; expecting perfection is foolish, especially with printing and baking. Some of the images on my cookies were not centered, meaning that the photo was bleeding off of the edge. Out of my 12 cookies, 4 were absolutely perfect. As you can see in the photos, the printing wasn’t centered in 8 cookies, but the taste made up for it (in my opinion). Also, I need a moment to talk about the frosting. This was absolutely delicious! It was far sweeter that I expected it to be (I mentioned before that I expected royal frosting, this was more of a frosting-fondant hybrid), and the texture was gorgeous. Stamped Sweets is doing something incredibly cool; they’re customizing cookies at a new level. I can’t speak to the print quality of the cookies with text, but mine were pretty dang fantastic. I think that even with the printing issues, these cookies are phenomenal, and worth the money. Also, there’s always room for improvement! So check out Stamped Sweets and consider them for the next time you want to feel extra as heck and treat yo’ self!